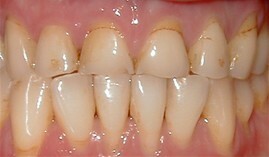 Before: Patient has 4 Upper Anterior Crowns (caps) that are poor in color and shape. 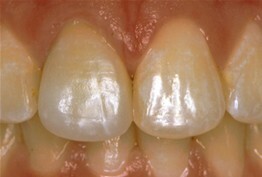 After: Smile restored and enhanced with 4 Upper Anterior All Porcelain Crowns. 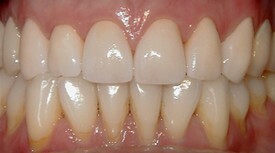 The color/shade matches the patients natural enamel and the two Central Incisors were lengthened to create a more natural smile. Dr. Bettis and her staff are the best! they have a very gentle touch and are just a joy to be around! I was very comfortable here and will make this my regular dental office for sure. Dr. Bettie and her staff are the best ,ever!! !The hygienist was very professional and thorough!! Everyone is very kind! Would highly recommend them!!! Dr. Bettis has been my dentist for over 10 years. The staff is kind, very professional, understanding, and great at what they do! I hate coming to the dentist! But they are so nice and easy! Thanks Bettis Family Dentistry! Out of every dentist I’ve ever been to I’ve never met such a professional and kind hearted person like Dr. Bettis. Her and the staff there treat you like family and know what their doing so you can be on your way. If you’re looking for the best dentistry in this area I would recommend Bettis family dentistry! "My name is Brenda Green and I recently received a wonderful gift of a beautiful Smile! Sounds funny doesn't it? 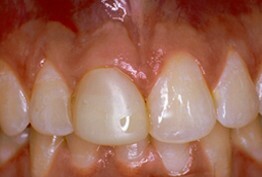 Several months ago after getting my teeth cleaned, Dr. Bettis asked a question of me, 'Are you happy with your smile?' she said. My reply was short and filled with humor,'No who would want these?' We laughed together and I went on to say that I was embarrassed. As our conversation continued she stated that she was sad and reassured me with correction options and a financial plan. I could see the compassion and knew she understood for it was reflected on her face.She and her staff were so excited! I left her office filled with hope in knowing soon I too would have the light in the window I often admire, wished for and dreamed of turned on. The light of a beautiful smile! The light in the window of my face is priceless because now I am excited to smile! I am confident and proud. A smile is a gift that truly keeps on giving. It is the shortest distance between two people. So, thank you Dr. Bettis and staff for correcting that which I never had but always dreamt of and for going above and beyond in seeking perfection. You and your team are an awesome group and each time I smile I think of you."